Below, you will see firsthand that the scenes depicted in The Lost Angel are, in fact, real and have been meticulously documented by the author. If you dare to follow in the footsteps of angels, prepare to delve behind the scenes into the world captured in Javier Sierra's most anticipated novel. October 2010, Hallaç. The Hallaç Crater. 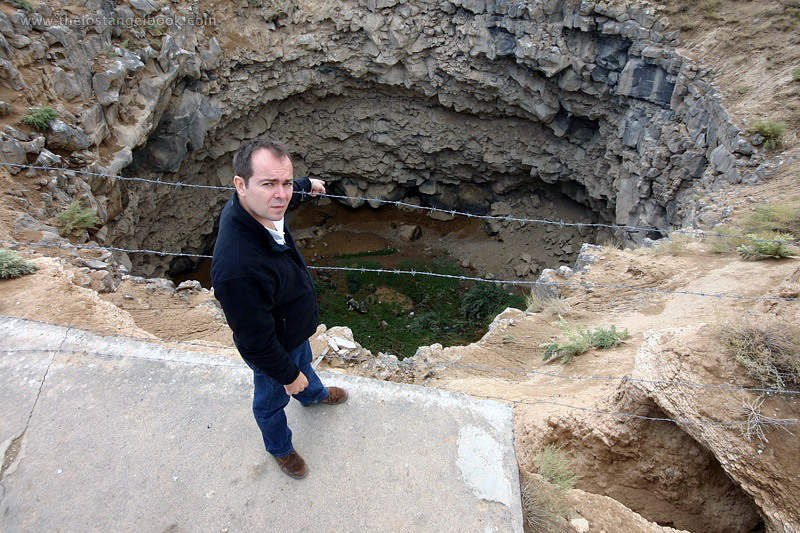 Nine miles from the border between Turkey and Iraq, in a region fortified by antiaircraft weapons and tanks, is the meteoric crater 35 meters in diameter, which I turned into the adamanta mine in my novel. I discovered it on Google Earth, but when I stood there in person, I knew I had made the right choice. 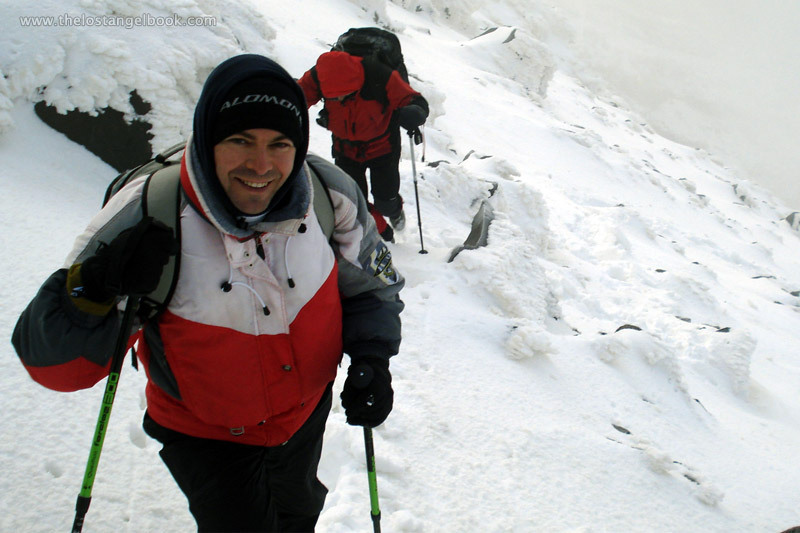 On the auspicious day of Oct. 10, 2010 (10/10/10) Javier Sierra climbed the dormant volcano Mt. Ararat, the highest peak in Turkey. He used his firsthand descriptions of this place to paint the pivotal scenes in the conclusion of The Lost Angel. 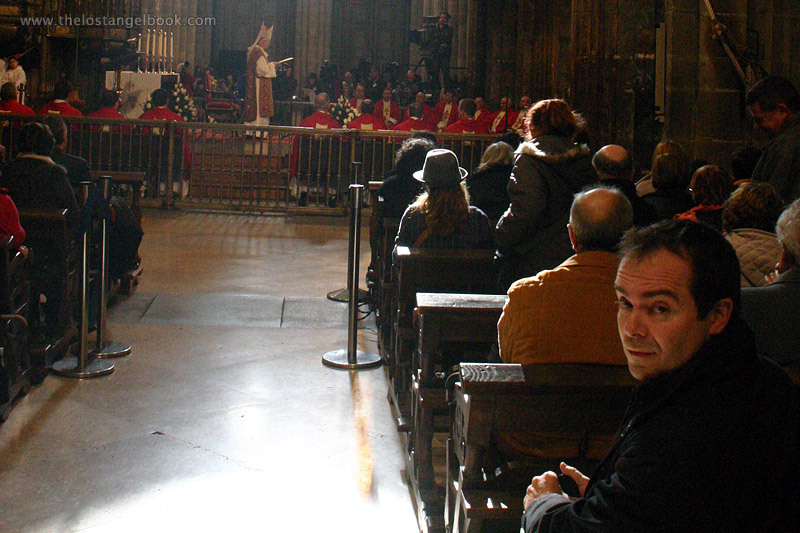 December 2009, Cathedral of Santiago de Compostela. On the night of December 30 before the start of a Jacobean year (when the feast day of St. James, July 25, lands on a Sunday) the remains of St. James are used in a procession in a special ceremony at the cathedral. And so I went, undercover. That helped me flesh out the gunfight scene inside the church that kicks off The Lost Angel. July 2009. Noia. 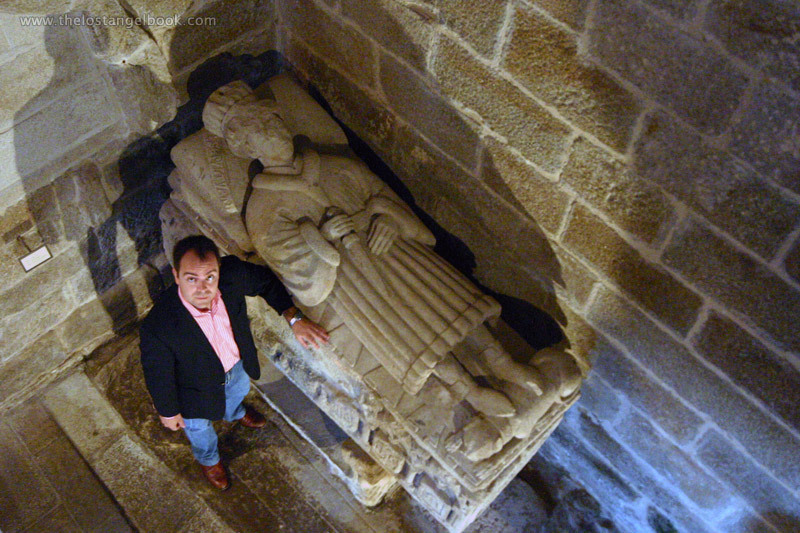 Tomb of Ioan (Juan) de Estivadas. Three days on La Costa da Morte were all I needed to convince me that the church of Santa Maria a Nova was the perfect setting for me to hide my "symbolic secret." The ancient tombs, etched with inscrutable symbols, and that main tomb in particular, whose name is inscribed backward, were ideal for the novel. March 2007. Washington D.C. Arlington National Cemetery. 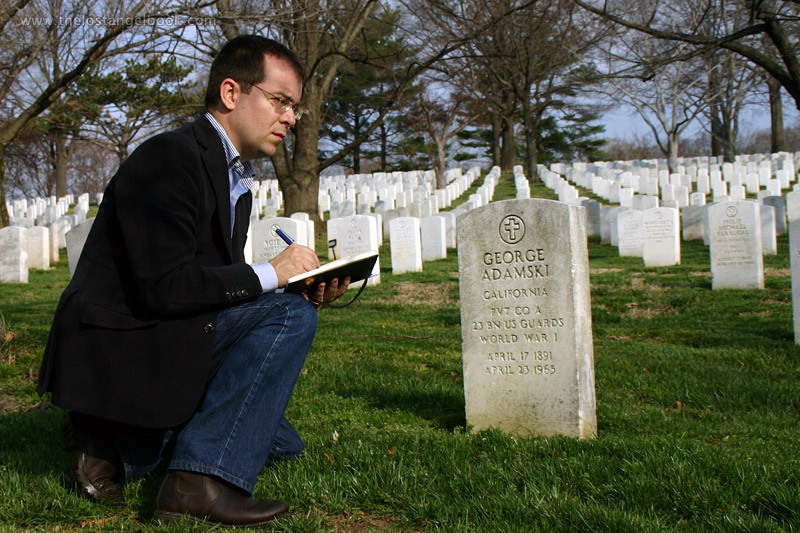 This was my third visit to this sacred burial ground in the United States. Some of the names and characters in my novel are taken from the "residents" of this cemetery. Nearby is the White House, also an important setting for The Lost Angel. 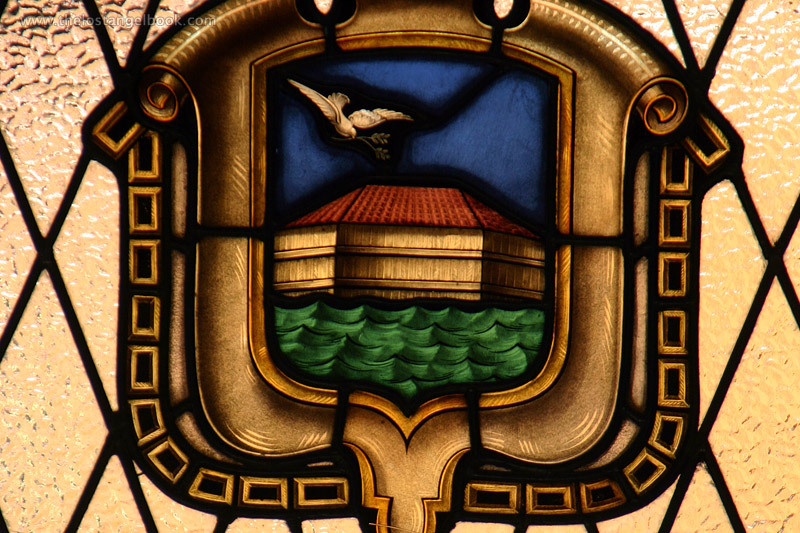 The seal of the city of Noia, displayed at city hall, unequivocally displays Noah's Ark. Gilgamesh. Cathedral of Santiago de Compostela. 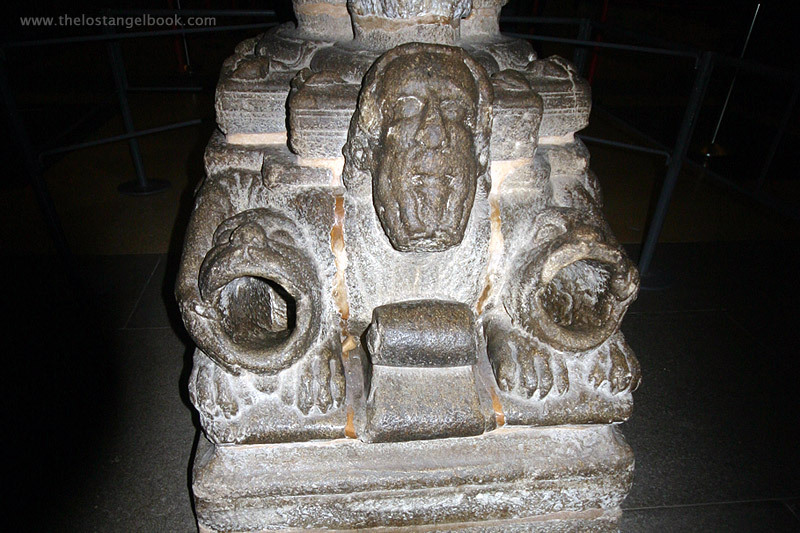 The Portico of Glory shows a sculpture of a man wrestling two lions. In Sumerian mythology, it's Gilgamesh, the first hero. Some accept this as a possible interpretation even though the story of Gilgamesh was not known in the Western world until the Epic of Gilgamesh was discovered in the nineteenth century. 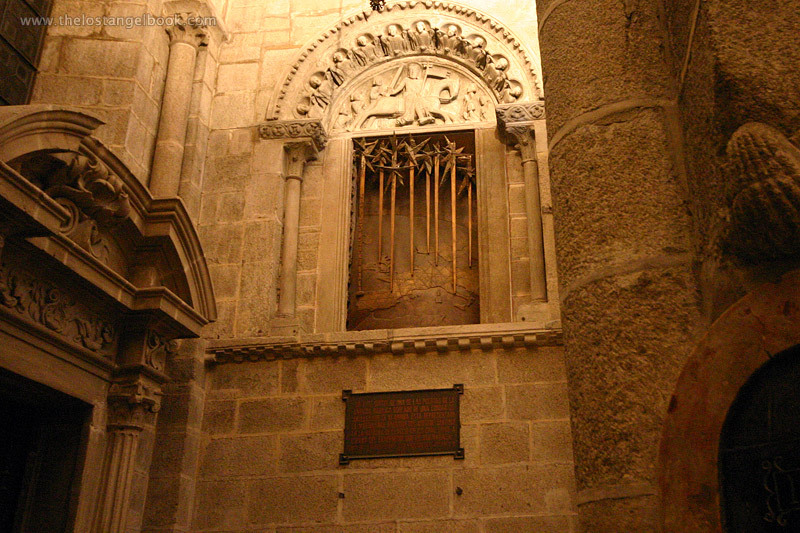 So how could this medieval work have ended up in Santiago? Campus Stellae. Cathedral of Santiago de Compostela. Beneath this monument, created by Jesus Leon Vazquez in 1999, is where the first gunfight in my novel breaks out. This artwork shows the intimate connection between the Way of St. James and the Milky Way, one of the plot points of my previous book, The Templar Doors, a wink and a nod to my more astute readers.